More than a decade ago I watched a team rebuild a 1000+hp Subaru engine in just over 20 mins with the lead mechanic screaming, “just slap it together!” On the very next run it broke its class world record; incredible to observe but not the attitude I hoped the Qantas engineers would adopt for the aircraft flying me home. So when a client with a background in aviation engineering approached KickMoto in Halifax, Nova Scotia, they decided to adopt that meticulous aircraft attitude for the build. The result is KM006 an incredible 1985 Suzuki GS1150 Neo-Racer. 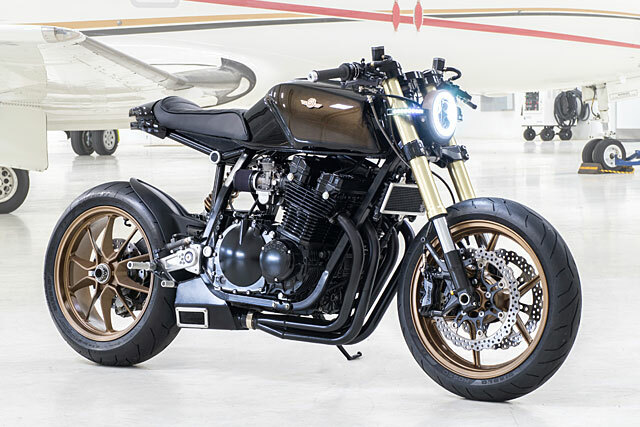 When it comes time to give credit to which Japanese bikes began the rise and reign of the machines from the Land of the Rising Sun the countries first superbikes, the Honda CB750 and the Kawasaki Z1, often receive the praise. But before they arrived on the scene the first strike in the four-stroke wars was delivered by a motorcycle known simply as the Black Bomber. Released in 1965 the Honda CB450 came packed with technology that defied its very classic chrome and black aesthetic. The first full production bike to feature dual overhead cams, it produced more than 100hp/litre, enjoyed reliable electrics and was described at the time as “engineered with passion and styled with restraint, an embodiment of all the qualities a motorcycle should posses”. 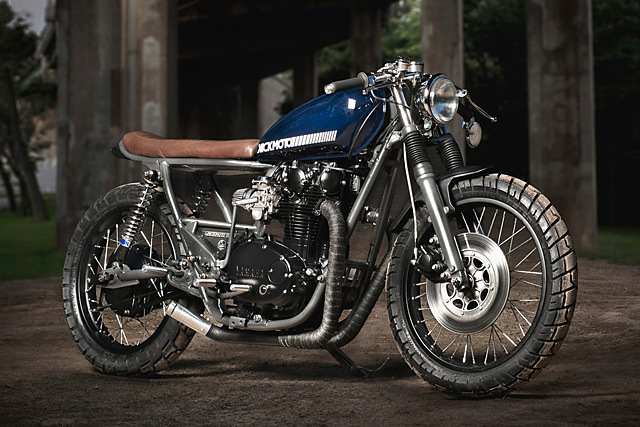 It’s with exactly that in mind that KickMoto pay homage to the original with their own take on a classic icon, a 1972 CB450 done just right. There are a lot of memes floating around the internet about Mum’s basements and not a single one of them kind. Often the domain of keyboard warriors and 40-year-old virgins, finally we’ve made a basement discovery from those dark depths that’s worth paying attention to. 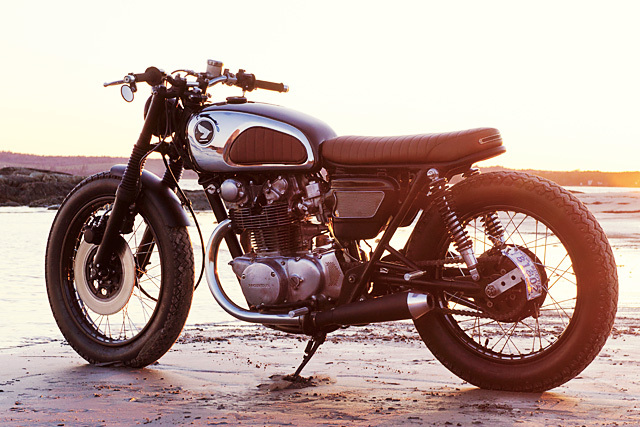 The fine lads from KickMoto in Halifax, Nova Scotia had a customer who was after a clean Yamaha XS650. As fate would have it, a friend of the workshop just so happened to have a stash of XS650’s stored in his mother’s downstairs you-know-what.